There will be three set of prizes and she will choose the winners randomly. 1. Completely follow the mechanics. 2. Giveaway image must be visible and added to your photo entry. 3. This contest is exclusive to Philippine residents only. 4. Contest runs from November 17 to December 7, 2011. 6. Winners must claim the prizes at any branch of Pooch Park. Prizes may also be shipped. Delivery fee will be shouldered by the winner. 7. 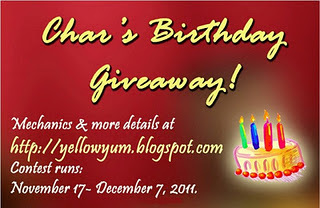 Winners will be announced in her blog on December 14, 2011. 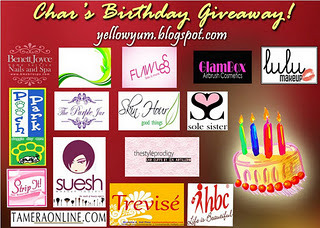 For the complete mechanics,visit her blog at YELLOW YUM!